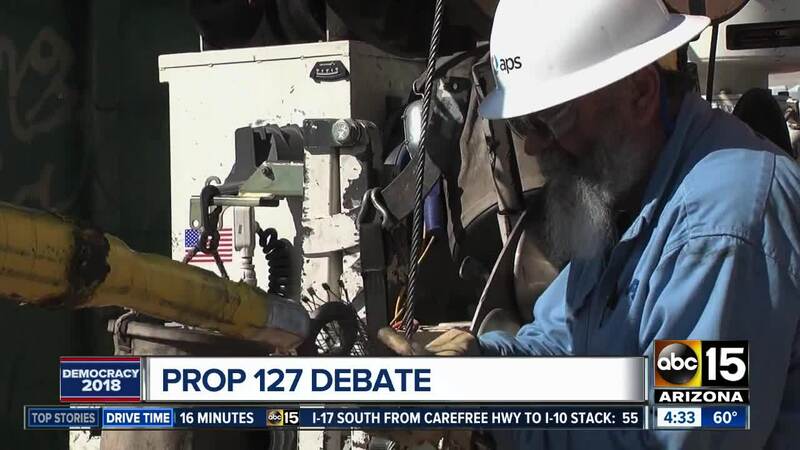 There's a lot of debate surrounding Arizona Proposition 127. 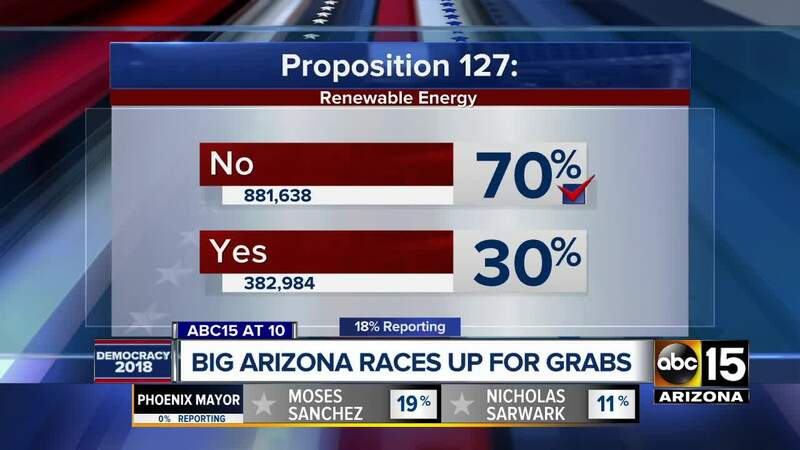 Arizona voters have voted against Proposition 127, regarding renewable energy requirements, according to the Associated Press. Proposition 127 would have required state utility companies to get half of the power it sells to customers from renewable sources. That would have had to be met by 2030. APS strongly opposed the measure, citing a possible sharp increase in energy prices to consumers if it passed. “We've said throughout this campaign there is a better way to create a clean-energy future for Arizona that is also affordable and reliable," APS Chairman, President and CEO Don Brandt said in a statement Tuesday night. Environmental advocacy group Environment Arizona, which supported Prop 127, was disappointed in Tuesday's outcome. "There's no question Arizonans want cleaner air and a healthier environment. We can see the effects of climate change around us in rising temperatures, dangerous wildfires and continual drought. But we have more work to do to turn our air and our climate into priorities at the ballot box," Bret Fanshaw, campaign director of Environment Arizona's "Go Solar" campaign, said in a statement. "As even Prop 127's opponents noted during the campaign, Arizonans do want renewable energy. Solar power is wildly popular because it's clean, it's cheap and it's homegrown. And it's a key component of a livable future in Arizona. So we'll keep working with elected officials, state regulators, the utility companies, and most of all, the people of Arizona, to make the environment a priority and put our state on a path to a cleaner, healthier future." According to current state requirements, utilities must get 15 percent of their power from a renewable source by 2025. D.J. Quinlan, spokesman for Clean Energy for a Healthy Arizona, said Tuesday's vote was the direct result of the "corrupt behavior" of APS. "By standing up to the bully that is APS, we have altered the course of our politics for the better. Future change is impossible until APS's stranglehold on our politics is broken -- and we're proud to have made the first crack in their wall of corruption that has held Arizona back for too long," Quinlan said. In its statement, APS said it is "launching an effort" to gain more information about the best way to implement clean energy in Arizona. "The campaign is over, but we want to continue the conversation with Arizonans about clean energy and identify specific opportunities for APS to build energy infrastructure that will position Arizona for the future," Brandt said.